Hide deals from seller "Roselle Auto "
Limit 1 per person; may purchase 1 additional as gift. Valid on an auto diagnostic test for most foreign cars. Call to ensure your vehicle qualifies. By appointment only; must mention voucher when scheduling. Promotional values expires 60 days after purchase. 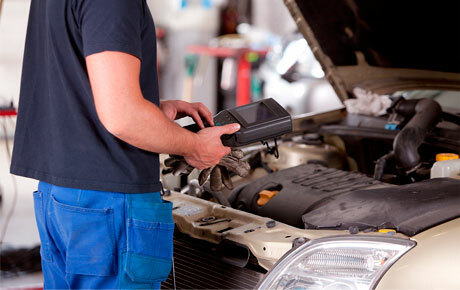 Keep your motor running with 50% off auto diagnostics from Roselle Auto in Arlington Heights ($90 value). For up to one hour, an experienced mechanic will check your vehicle and determine the root of your car troubles. Roselle Auto was opened nine years ago in order to bring superior, reliable auto services and products to the community. They specialize in electrical systems and use their technological prowess to quickly determine the causes behind that pesky "check engine" light. Roselle Auto guarantees the work they perform and upholds their motto, "Service you can trust." They offer honest repairs at reasonable prices so that you can stay on the road with ease. A full-service auto repair shop that offers oil changes, diagnostics, tires, brakes and more.